A damask floral design printed on a cotton duck cloth. 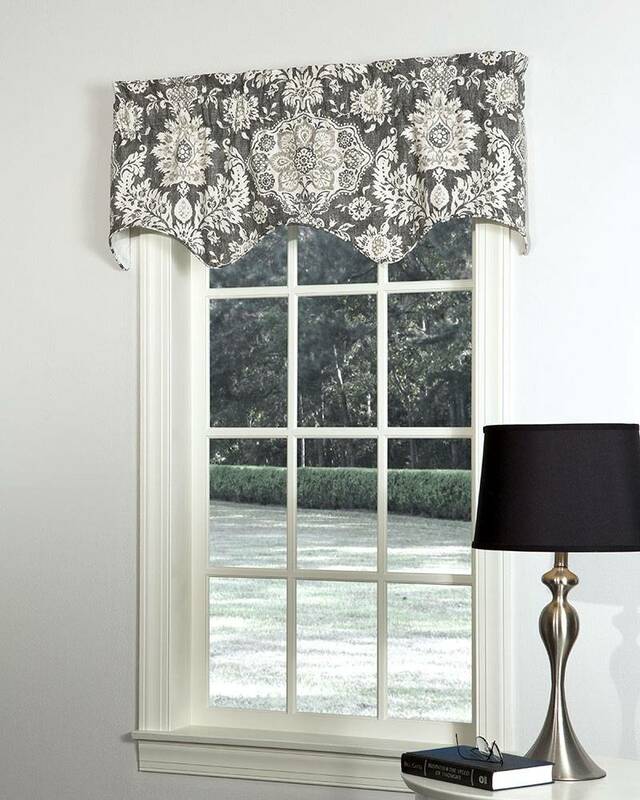 With a go anywhere neutral color palette of light tan, and natural against a charcoal grey background, Belmont Lined Gigi Filler Valances have self piping running along the gracefully scalloped bottom edge. These versatile and stylish valances can be hung alone, as pictured above, or combined with Belmont Lined Gigi Swags to cover wider windows. (Insert filler valances between the right and left swag panels.) Fully lined. Handcrafted in the USA.